Nestled in the heart of the historic Town of Niagara-on-the-Lake, a few minutes walk to all theatres and attractions, the Oban Inn, Spa & Restaurant is an historic property officially designated as a significant heritage resource. 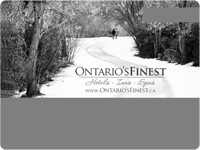 The Town’s first and original country inn overlooks Lake Ontario and the oldest golf course in Canada. The Inn features 26 well-appointed guestrooms, a gastromic restaurant, and a tranquil, full service OSpa – a unique facility dedicated to the health, well-being and vitality of our guests where philosophy and decor are in harmony, forming a peaceful mood of Sun, Moon, Earth and Water.